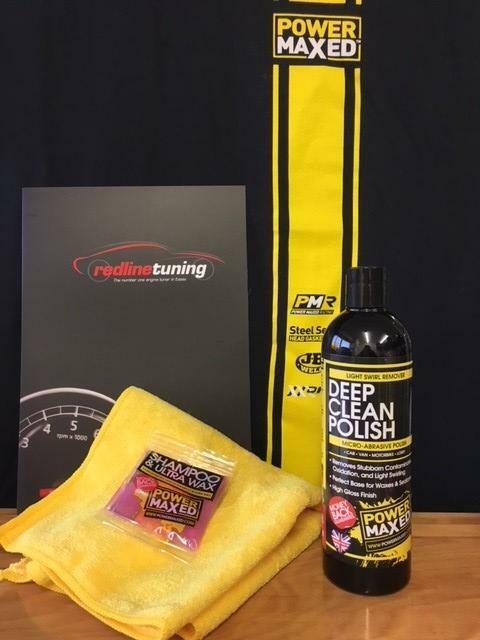 Power Maxed Rain Off Glass Sealant 500ml + Free Complimentary Micro fibre Cloth and Shampoo & Ultra Wax Sachet. 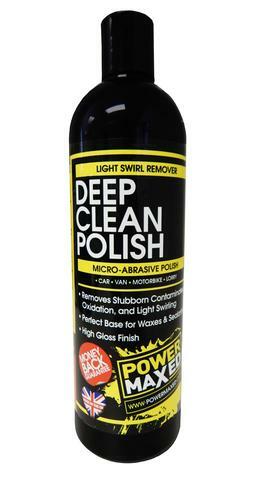 Power Maxed Deep Clean Polish removes contaminants and oxidation which normal washing will not remove. The micro abrasive polish removes all light swirls leaving your paintwork refreshed with a perfect wax/sealant ready finish. Deep Clean Polish can either be used on its own to correct minor defects or as the first stage in your polishing process. Can be applied either by hand or with a polishing machine.